Will Apple Ever Make A Splash In 3D Printing? Things aren't looking good for Stratasys, Ltd. (NASDAQ: SSYS), as shares plummeted after the company reported weaker-than-expected guidance. Will the company's decline pave the way for new entrants? Analysts weighed in. 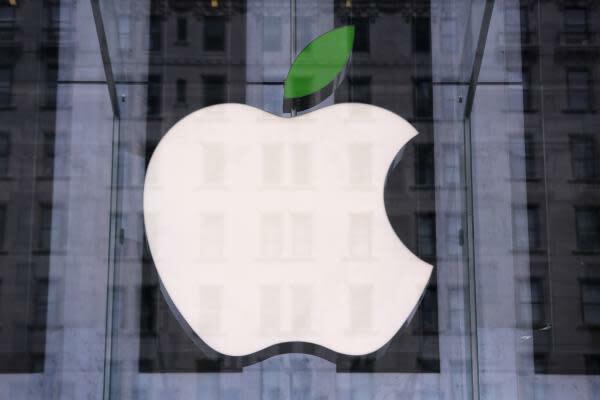 "I would not be a bit surprised if at some point we see Apple either be a big user of 3D technology or a maker or a designer of 3D-type technology," Sean Udall, CIO of Quantum Trading Strategies and author of The TechStrat Report, told Benzinga. Udall has theorized that Apple Inc. (NASDAQ: AAPL) would enter the space in some capacity for quite some time. At least one other analyst had a similar theory about Apple and Google Inc (NASDAQ: GOOG). To be clear, Udall doesn't think Apple will actually manufacture and sell 3D printers on its own. But he speculated that Apple would use or advance the technology for its own manufacturing needs. "They don't build any of the devices that all of us buy," said Udall. "They design them. They monitor the people that build those products intensely. They hold them to extreme levels of production [quality]. But Apple isn't really in the business of making machines." Udall said that doesn't mean Apple couldn't design a "great 3D printing machine" that would be produced in a typical Apple assembly environment in a Chinese factory. "But at the same time, when people start to say Apple's going be one of the best 3D printing stocks, that's when the Apple hype starts buzzing my antenna a little bit," said Udall. "I think there's plenty of things Apple can do and will do before they'll enter the 3D printing space." In fact, Apple is not on Udall's shortlist of companies that might enter the space. The list included a number of familiar manufacturers, including Dell, Lenovo (OTC: LNVGY) and SAMSUNG ELECT LTD(F) (OTC: SSNLF). Hewlett-Packard Company (NYSE: HPQ), which unveiled its first 3D printer last year, was also on his list. "I'm bullish on the industry long-term," Udall added. "I do think Hewlett-Packard is going to do well in this space. I think it's a pretty easy call to say they're gonna be one of the top 3D printing companies three, five, 10 years from now." Related Link: What Are The Two Most Exciting 3D Printing Stocks? Cody Willard, chairman of Scutify (a financial social network), thinks it "sounds ridiculous" that Apple or Google would get into the 3D printing space. "I don't see that," he said. "That doesn't make any sense to me. Hewlett-Packard and startups and other industrial suppliers and service companies will get in this space and buy other 3D companies. The sector's brand new. It's still in its infancy. There's 10, 20 years for this to play out."